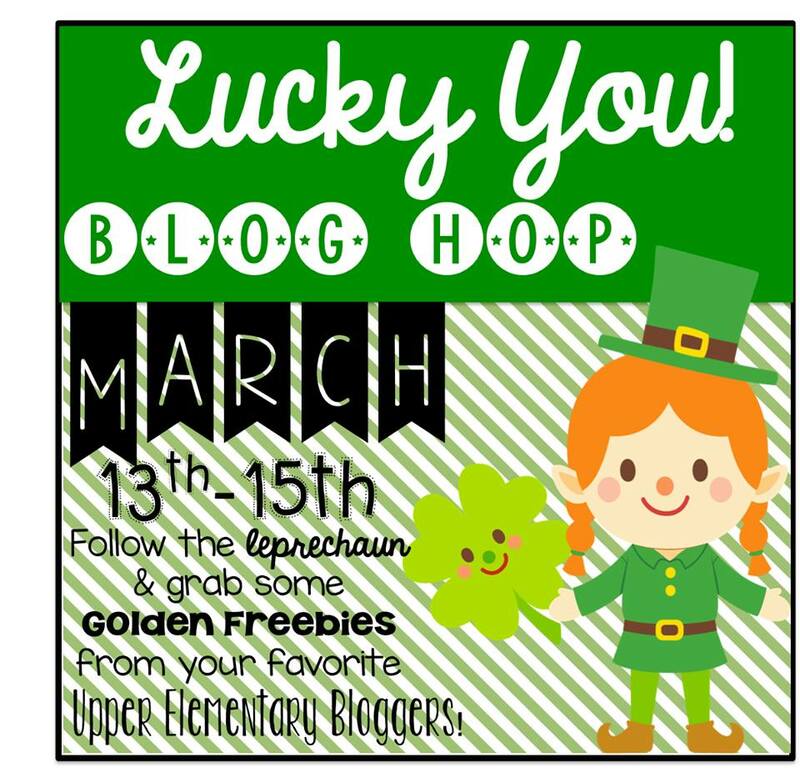 I am feeling very lucky to be linking up with some amazing teacher-blogger-creators to bring you a "Lucky You!" blog hop. Be sure to hop your way through to pick up all the "golden freebies". This is my first year at a brand new school. Moving schools for the first time in 15 years made me realize that I am truly a lucky person. #1. I am lucky that I have a supportive family, they realize that I do NEED to stop at the library and dollar store every other day, or even sometimes twice a day and that nothing or next to nothing that I am picking up is for them. #2. I am lucky that I was able to stay at one school for 15 years so that I learned what it meant to make a family out of the people you worked with and taught. #3. I am lucky that I have found new co-workers that are open to my sense of humour, crazy ideas and strong dislike of change. I am hoping that the freebie I am sharing makes you feel lucky too. It is a set of 12 math operation problem solving cards and 24 operation review cards. Click here to pick up a copy. Now it is time to hop on over to the next stop!! Head on over to Ideas by Jivey for another fun freebie. Clear and easy to read review!! Perfect for so many activities! I am at a new school this year too! Thank you so much for linking up and for this awesome review that my kiddos truly need! These are gonna be printed, laminated and used Monday morning! Lucky you didn't feel too strongly about change to move schools after so long at your previous one! I am open to change as long as it isn't overnight. I like some time to adjust. What a terrific review freebie!! Thank you!! My kids love math task cards, and they will love these! So glad to hear your having a good experience at a new school! That's so important! Oh my Lord, I meant you're not your!!!! Thank you so much for the task cards! They are fabulous and will be put to good use in my classroom on St. Patrick's day! I loved the St. Patrick's Day story problem freebies you shared. Will you be posting any Easter, spring, end of the year themed story problems? Thanks Hollie! Easter is too short of a week for me but I will be doing some spring and end of the year ones for sure! Thank you so much for sharing! :) I just happened across your blog and LOVE it!